The 3rd ICC Africa Conference on International Arbitration will take place on Monday June 18th and Tuesday June 19th, 2018 at the Civic Centre, Ozumba Mbadiwe Street, Victoria Island, Lagos. A 30% discount is available to all YAF Members in the Region. 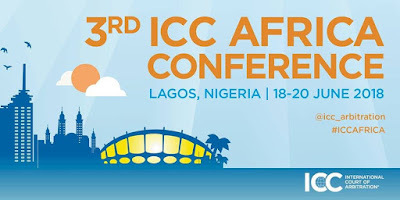 The conference, which is the most important gathering for the African arbitration community will provide invaluable updates on developments in the region, during a series of panel discussions with a faculty of prominent speakers and thought leaders.